Access is time limited to 1hr after which your device will be disconnected from the access point. You will then need to be away from the Café or Kiosk area for at least a further hour before you can re-connect. Users are reminded to take sensible precautions to protect their device. As with any public WiFi access facility it is not recommended to use the system for sensitive transactions such as on-line banking where your account details may be unwittingly compromised. 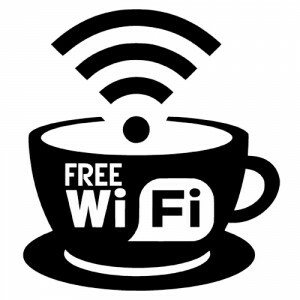 The WiFi facility is provided as a courtesy and is for the use of San Remo Café / Kiosk customers only. Access to the wireless facility is protected by a password which may be obtained from the till point on request. The password may be changed at any time at the sole discretion of the management. The facility provides one hour (1hr) of wireless Internet access after which the device will be disconnected. Reconnection is not possible unless the device has then been away from the Café / Kiosk area for a further period of at least an hour. The Internet connection speed is not guaranteed and may be reduced at busy times when there are multiple simultaneous users connected. The facility is intended for ad-hoc web browsing, email, updating social media, etc. The downloading / uploading of large files, torrenting, etc. is not permitted. Users believed to be abusing the system will be asked to disconnect their device which may also be blocked. The management shall not be liable for any interruption or failure of the service nor for any consequential losses which may be incurred as a result of using the wireless facility.